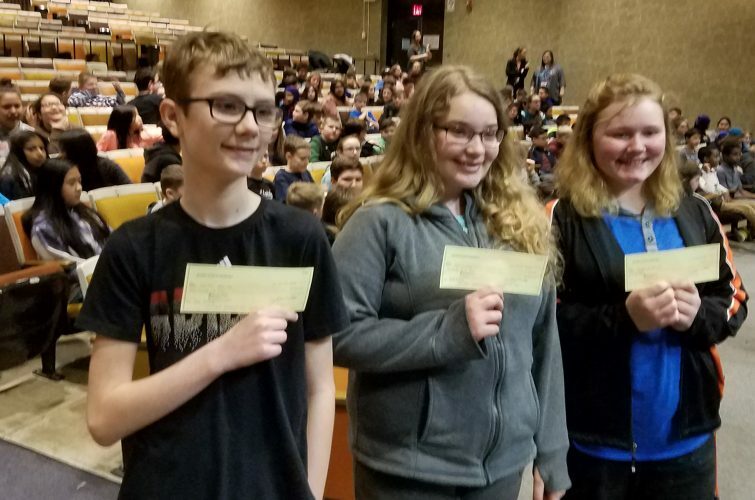 MARSHALL — A new club recently started at Holy Redeemer School and its student members have been working hard to spread more kindness throughout their community. The Kindness Crew currently has between 15-20 students involved, depending on their schedules. The activity came to fruition with the coordinated effort of Amy Sauter and Mary Surprenant. While the Holy Redeemer School students also do service projects within the school year, this club provides opportunities for even more leadership and hands-on experiences — something that is especially important for students who might not take part in sports or other activities. CHARGE is a new program aimed at proactively providing students and teachers tools that can be used to nurture and grow a positive school climate of compassion, communication and cooperation. Surprenant leads the 30-minute CHARGE sessions on a bi-weekly basis. Individual and small group sessions then take place as needed. The Kindness Crew had its first few meetings near the end of November and made plans for a Winter Fun Zone at Marshall’s Light Up the Night event held in December at Independence Park. Other volunteer efforts took place in December, including the Salvation Army’s bell ringing project. 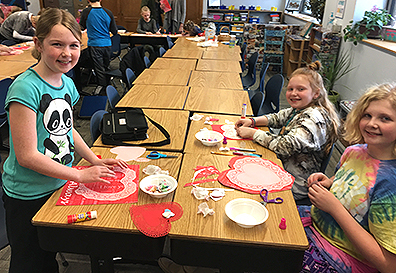 On Monday, the Kindness Crew members began making homemade Valentine’s Day cards to residents of the community’s assisted living places, group homes, hospitals and beyond. Future projects include helping with preparation, serving and cleanup at Esther’s Kitchen and assisting with the monthly distribution of food boxes through Ruby’s Pantry.